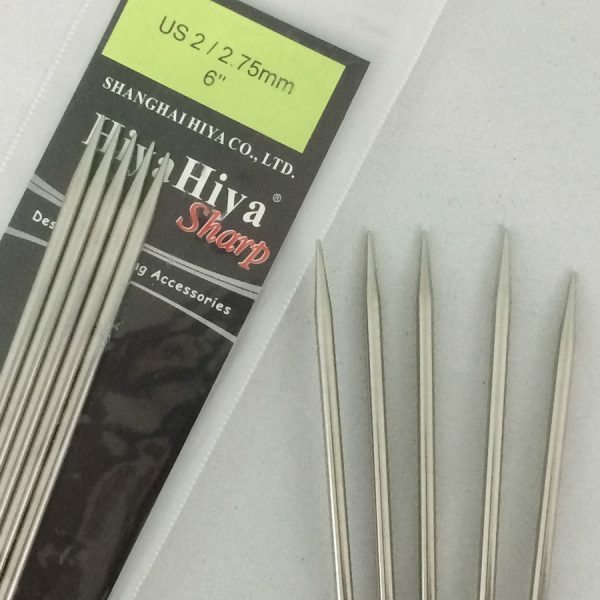 This set of five double-pointed needles are from the Hiya-Hiya line of SHARP needles. 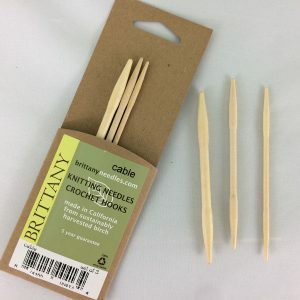 They are VERY sharp for those projects where it is difficult to get the needle into the stitches. 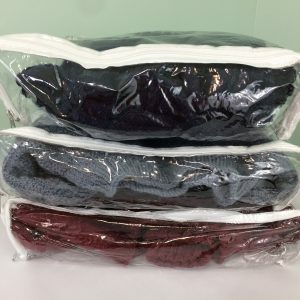 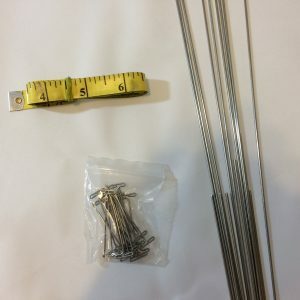 The 6″ length is perfect for small projects such as socks, gloves, and mittens. The needles are made of stainless steel and are very lightweight. 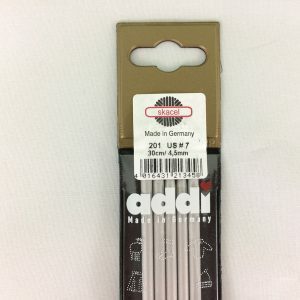 This set measures 2.75mm/ US 2.